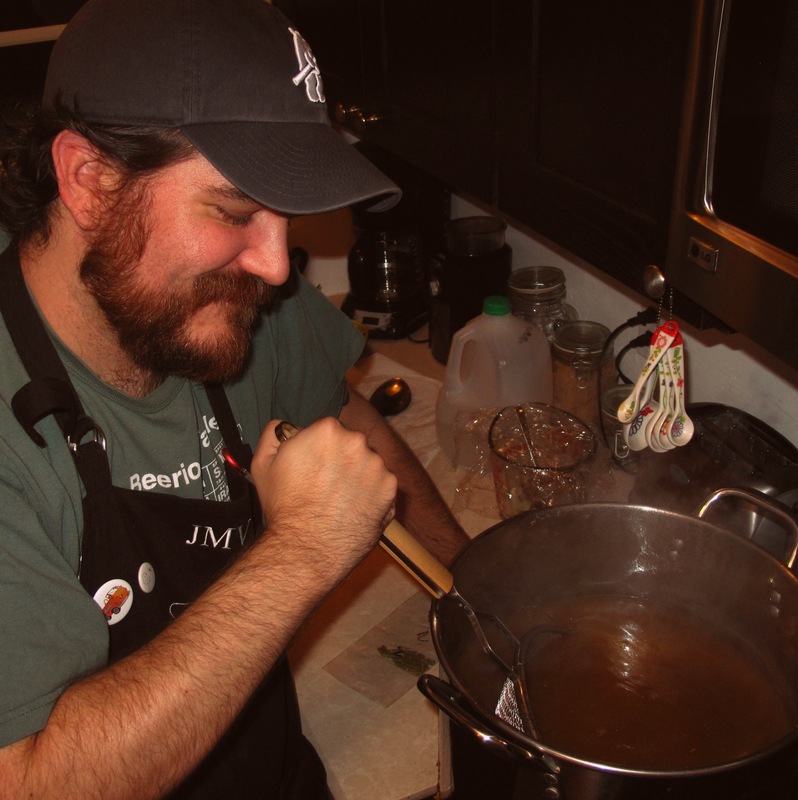 After too many years of telling myself that I can’t pull-off home brewed beer in the tiny apartment kitchens that I’ve had foisted on me in Hollywood I was finally convinced by Beau to take the plunge and get back into brewing. Making things has always been important to me, and sharing my creations even more so. Brewing beer brings the same joy that I get from cooking a meal for friends and family but with the added air of mystery. Brewing often seems like alchemy; grain and flowers are transformed into a golden elixir that makes the world a more beautiful place. But behind the magic of fermentation is simple science and math and a process that I really enjoy. My brew-partner and I have done a lot of brainstorming about what we want to get out of this endeavor, and we have the pilot-batch of a Belgian Pale Ale ready to be dry-hopped and an English Mild getting boiled-up today. I’m excited.